It’s been two years since Britons voted to leave the EU. Why don’t they have the details worked out yet? The results of the 2016 Brexit referendum took everyone by surprise, and nobody had really run the numbers about what leaving the EU would mean. The Leave campaign said abandoning the EU would bring a financial windfall, but it’s now clear there will be large costs. The U.K. contributes about $10 billion more to the EU budget than it gets from the EU in public service funding, rebates, and payments to farmers, and that money will now stay home. But those savings will be swallowed up by costs related to Britain’s loss of access to the EU single market. Financial firms in London, and other service industries, which account for nearly 80 percent of British GDP, are expected to lose $47 billion a year once Brexit goes through. All told, 44 percent of British exports go to the EU, while just 8 percent of EU exports go to the U.K. With the U.K. desperate to preserve some kind of viable access to EU markets, the EU is in a much stronger bargaining position and has so far refused to yield at all on its core demands. What are the EU’s requirements? The EU has already demanded, and won, a pledge that Britain will pay the $51 billion it owes in EU officials’ pension costs and other obligations. It is adamant that Britain cannot have unfettered access to the vast EU single market unless it adheres to all of the EU’s “four freedoms”—free movement of goods, services, capital, and people. The EU says it can’t allow Britain to choose just one or two of those four commitments, lest Brexit set a precedent for other restless countries that might wish to strike their own bespoke bargains. Most importantly, the EU has taken the side of its member state Ireland in insisting that the border between the Irish Republic and the U.K. province of Northern Ireland remain open and free for travel and trade after Brexit. Why is the Irish border a problem? Over the three decades of sectarian strife known as the Troubles, the Irish Republican Army battled the British Army and pro-British paramilitaries from Northern Ireland in a guerrilla conflict that left some 3,600 dead. The border bristled with military watchtowers and checkpoints until the 1998 Good Friday Accord brought peace. Both sides fear that if border controls were to be reinstituted, tensions would resurface and lead to violence. 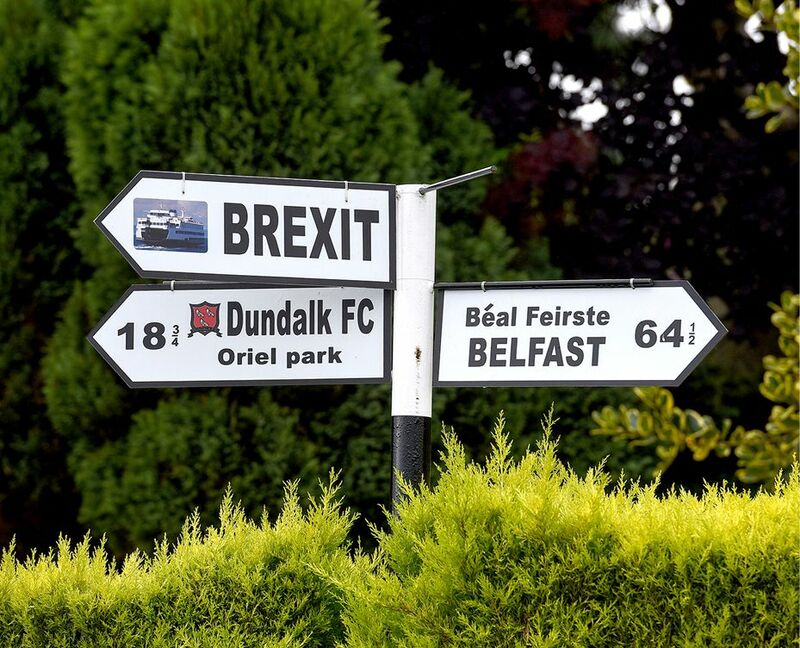 One way to avoid a “hard border” is for Northern Ireland to be included in the EU customs union, which ensures that EU member states all charge the same import duties to non-EU countries. But that arrangement would require Northern Ireland to institute checks at its border with the rest of the U.K.—a requirement Britain refuses to accept. What are the British demands? Prime Minister Theresa May has consistently said “Brexit means Brexit.” The 52 percent who voted Leave were alarmed by the growing control of the EU bureaucrats over Britain, and also objected to the influx of laborers from Poland and other EU countries, whom they accused of stealing jobs from Britons. To respect the Leave vote, May says, the U.K. must have full control over its own immigration and regulations and not be subject to the jurisdiction of the European Court of Justice. In a “soft Brexit” plan, the U.K. could stay in the EU customs union. It’s unlikely, though, that May will agree to that, because it would involve accepting EU regulations and court jurisdiction and restrict Britain’s ability to negotiate trade deals with other countries. The more likely outcome is some version of the “hard Brexit” scenario, in which the U.K. would establish a free trade agreement with the EU (like the one the EU has with Canada), so there would be no tariffs. The U.K. would set its own regulations and immigration and trade policy. The U.K. and EU would have to institute customs and regulatory checks at borders. To circumvent the Northern Ireland border problem, May hopes that checkpoints there can be avoided through some high-tech scanning technology yet to be invented. The U.K. is scheduled to leave the EU on March 29, 2019. With no trade deal in place, customs checks would have to begin on all goods crossing the British border both ways. Since the U.K. doesn’t have the infrastructure to do that, trucks would back up for miles. The just-in-time supply chains that British stores and manufacturers use would be disrupted, causing shortages of food and other goods. British financial firms would lose their right to sell their services in the EU. Companies would lay off workers. The pound would plummet. Brexit proponents say such a doomsday scenario is unjustified scaremongering. “No deal is better than a bad deal,” May insists. With no agreement in sight that’s acceptable to both the EU and Brexit hard-liners in the U.K., it increasingly looks like May’s prediction will be tested—less than six months from now.